Religion can play a vital role in the way people relate to each other, particularly with interpersonal dynamics within a family. 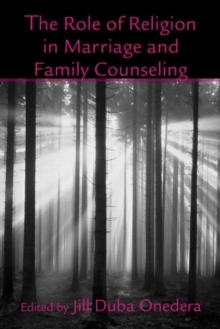 The role of a couple or family's religion(s) in the counseling room is no less important. This book provides practitioners with an overview of the principles of the major world religions, with specific focus on how each religion can influence family dynamics, and how best to incorporate this knowledge into effective practice with clients.